Kompas Creative is a lifestyle blog about design and creative inspiration. The words you use shape who you are, what you represent, and how others perceive you. For example, when you replace the word ’try’ with ‘will', it has the power to change the way you feel and the way people respond to you. Read Inc Magazine’s article about the word ’try’ here. Switching up your vocabulary will have a positive impact on your life, not only by replacing negative words with stronger ones, but also by discovering new words for feelings or thoughts you may never have been able to describe before. We are passionate about discovering words that inspire us and improve our overall well-being. Our mission is to share these words and empower others to do the same. You may have already come across the word “hygge”, since it’s starting to show up seemingly everywhere these days. 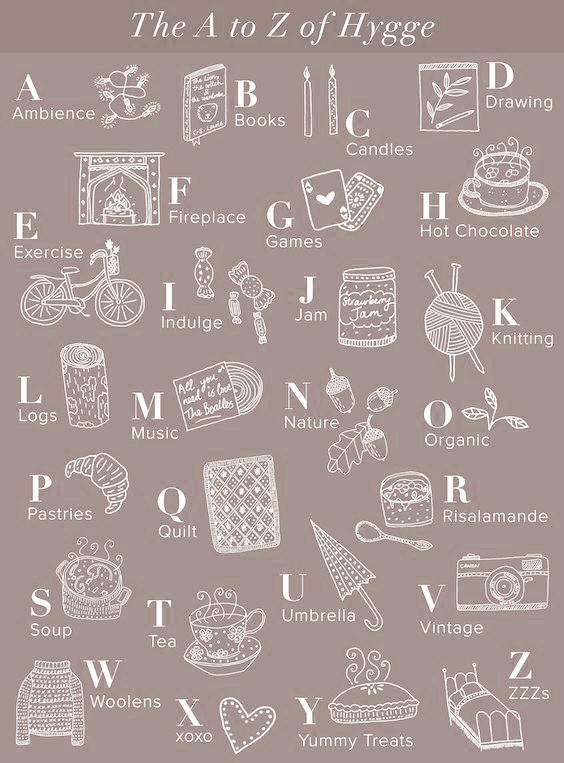 Hygge, pronounced “hoo-ga”, is the Danish secret to happy living and we might be slightly obsessed with it. 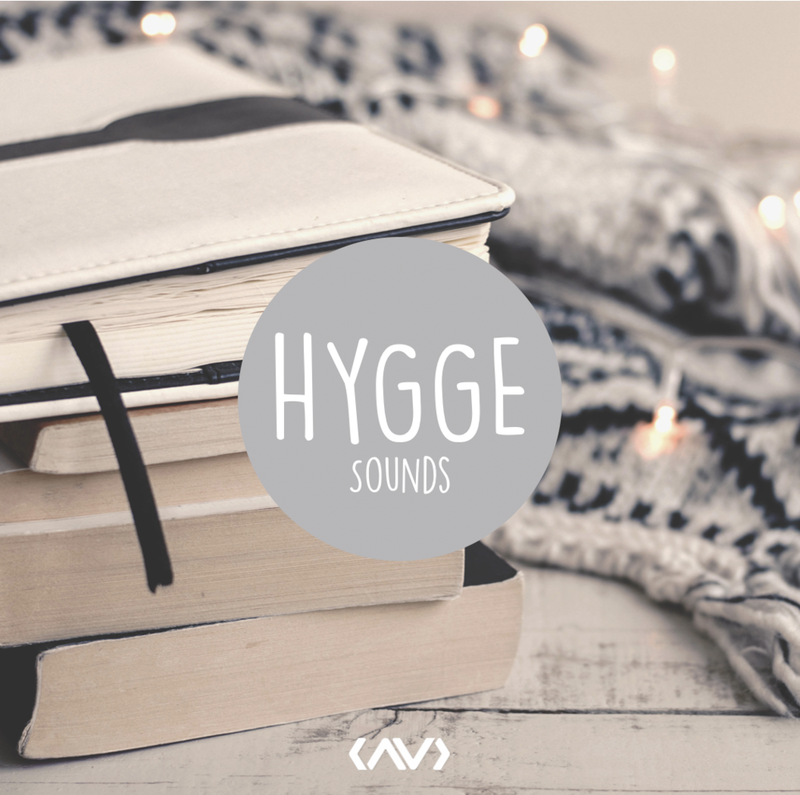 Translated to English, hygge describes the feeling of coziness and comfort, although that's really just scratching the surface. Hygge’s intention is to unearth the same feelings you would experience in a relaxed setting with soft lighting, comfortable clothing, delicious food and easy going conversation with good friends. It originates from the Norwegian word for “well-being” and can be used as both a verb ("Let’s hygge this weekend!") and an adjective ("My living room feels so hyggelig right now!”). In the cold, wintry Nordic countries, the influence of hygge extends through their fashion, cuisine, and interior decor to cultivate feelings of comfort and togetherness. As Vermonters, we're accustomed to the long, harsh New England winters, but similar to the Danes, we have to make a conscious choice each day not to let the laws of nature determine how we feel. Hygge has become a transformative part of our daily routine, since we spend many of our winter days indoors. Throughout the office we incorporate soft lighting, diffuse essential oils, and play relaxing music to create a comfortable space which allows the creativity to flow. Even if you’re not in a winter snow globe for 5 months out of the year, you too, can benefit from consciously bringing more hygge into your life. After all, the Danes have been ranked as one of the happiest nations in the world (The Little Book of Hygge pg. 209). Hygge is a proven method of life planning designed to elevate our well-being. Although it was created to bring warmth to the long days of winter, it's important to hygge all year long. Creating a comfortable space is an important element, but the overall intention of hygge is to come together with the people you care about most. The right lighting, music, clothing, and decor create the essence, but its importance lies in equality and bringing people together for the purpose of happy living. We love hygge because it represents and manifests our values: creativity, community, and happiness. We hope that discovering hygge inspires you to have more hygge moments, since more hygge moments mean more happiness. The very best of Kompas Creative delivered right to your inbox.